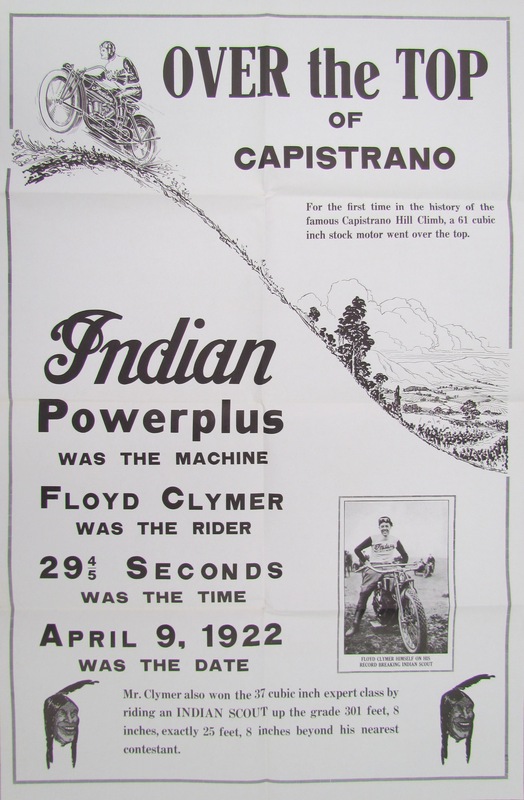 Home Indian History Who was Floyd Clymer? Here at the Library, it’s hard to scan the shelves without coming across the name of Floyd Clymer. From 1944 through the 1970s, his publishing company stood at the forefront of automotive books. At the Library, we have more than fifty of these books on-hand for reference, covering everything from history to racing! While Clymer’s books have remained his biggest claim to fame, they are but only one piece of this legendary man’s life story. Since he was a lifelong fan of automobiles, it seems fitting Floyd Clymer was born in Indianapolis, home of the famed 500, in 1895. Shortly thereafter, his family moved to Berthoud, Colorado. In 1902, Clymer’s father (a physician) introduced his son to the world of cars with the purchase of the family’s first vehicle, a one cylinder Curved Dash Oldsmobile. Floyd Clymer didn’t have what you would call a typical childhood. At just seven years old, he learned how to drive his dad’s Olds. Later, Clymer and his younger brother participated in the 1904 Reliability Run from Denver to Spokane. Behind the wheel of a Flanders 20, several breakdowns thwarted successful completion of the trip. If racing was in Clymer’s blood, so too was the entrepreneurial spirit. While most ten year olds boys found fun playing baseball, Clymer got his kicks from selling cars. With faith in young Floyd’s dream, Clymer’s father allowed his son to set up shop in a room within his practice. In what was formerly a dentist’s office, Berthound Auto Co. was founded, specializing in REO, Maxwell and Cadillac. In two years, the wonder kid managed to sell at least twenty six vehicles. For trade publications of the day, the story of a young auto dealer was too good to pass up. Motor Field ran an article on Clymer (then 11), “the Kid Agent,” in their February 1907 issue. Salesmanship in his blood, the article doubled as an ad for Clymer who claimed, “[I] can supply your wants in repairs and supplies, and can save you money.” Later in life, Clymer reprinted and sold this same issue for just a dollar. Eventually, Clymer grew interested in motorcycles. His first bikes were a California-built Yale and Thomas Auto-Bi. Ever the showman, Clymer discovered how to ride backwards by the time he was fourteen and, in 1912, he won his first amateur bike race in Boulder, Colorado. In 1916, Clymer made motorcycle history by winning the very first Pike’s Peak Hill Climb. Contrary to popular opinion of the time, his Excelsior proved motorcycles were capable of more arduous trips, having ascended 4,958 ft in only twelve miles. Thanks to such victories, Clymer attracted the attention of Harley Davidson and became a member of their factory racing team in 1916. Though an accomplished rider, Clymer never abandoned the world of salesmanship. In 1914, he moved to Greeley, Colorado and opened up a motorcycle shop, selling Excelsior bikes and, eventually, the Harleys he was known for racing. Clymer promoted his dealerships by setting long distance records between cities on his bikes. After his stint in Greeley, Clymer set up Floyd Clymer, Inc. in Denver, becoming a major distributor of Indian, Excelsior and Henderson bikes for the western part of the country. In a 1929 brochure, Clymer touted he was the “largest motorcycle dealer in the west” and that he had “…sold motorcycles and shipped them into practically every state in the union.” In addition to new and used bikes, Clymer sold parts and accessories. 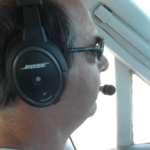 By the 1930s, he made the move to Los Angeles, taking over Al Crocker’s West Coast Indian distributorship and managing a profitable venture in the mail order parts business. 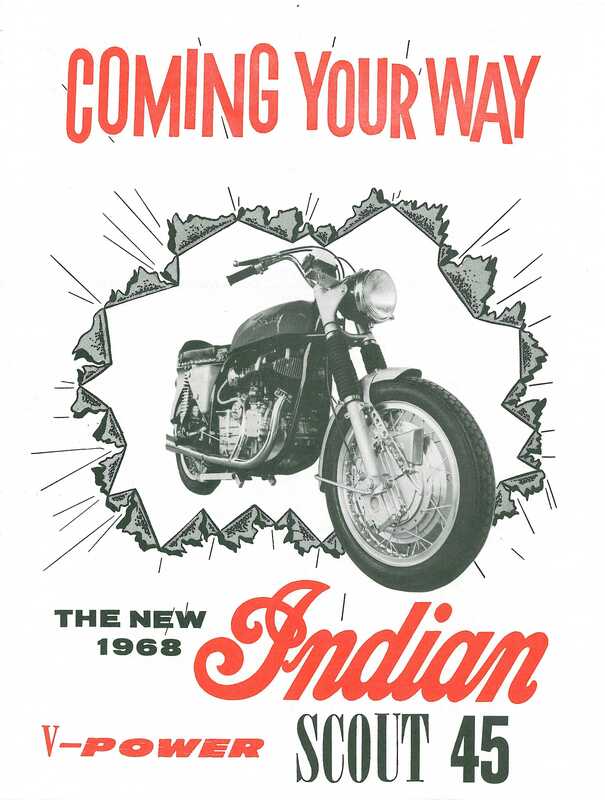 Taking full advantage of his close proximity to Hollywood, Clymer gave Indian bikes to celebrities as gifts or loaned them in return for advertisement-worthy publicity shots. Consequently, Indians were well-represented on the silver screen back then! During World War II, Clymer began collecting automotive sales literature and photographs, many of which wound up in his first book. 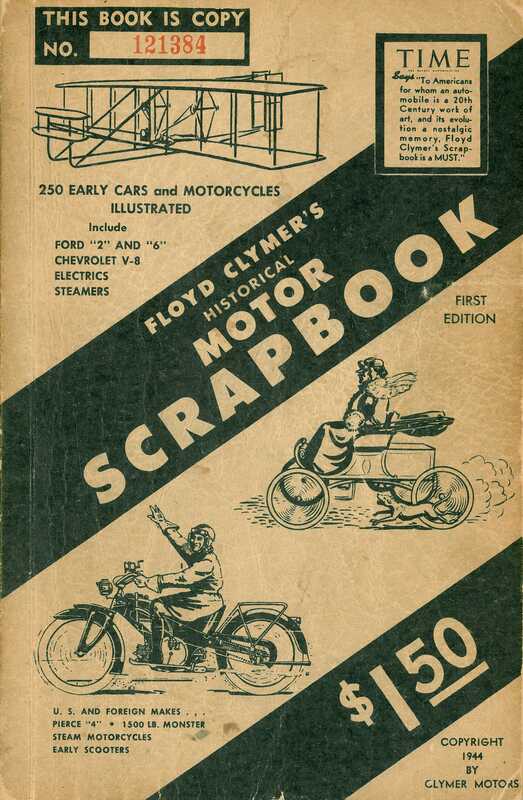 Published in 1944, Floyd Clymer’s Historical Motor Scrapbook was a collection of reprinted advertisements and period articles, featuring two hundred fifty brass era vehicles. Reception of the book exceeded Clymer’s expectations, becoming an overnight success and receiving a glowing review from TIME. From then on, Clymer established himself as the pre-eminent publisher of automotive books, having printed more than four hundred different titles by 1965. Among them were several more “scrapbooks,” including special editions devoted to steam powered cars and motorcycles. Clymer also localized foreign titles, published a long-running series of Indianapolis 500 yearbooks (the first in 1946), and reprinted entire works, including the National Automobile Chamber of Commerce’s Handbook of Automobiles series. 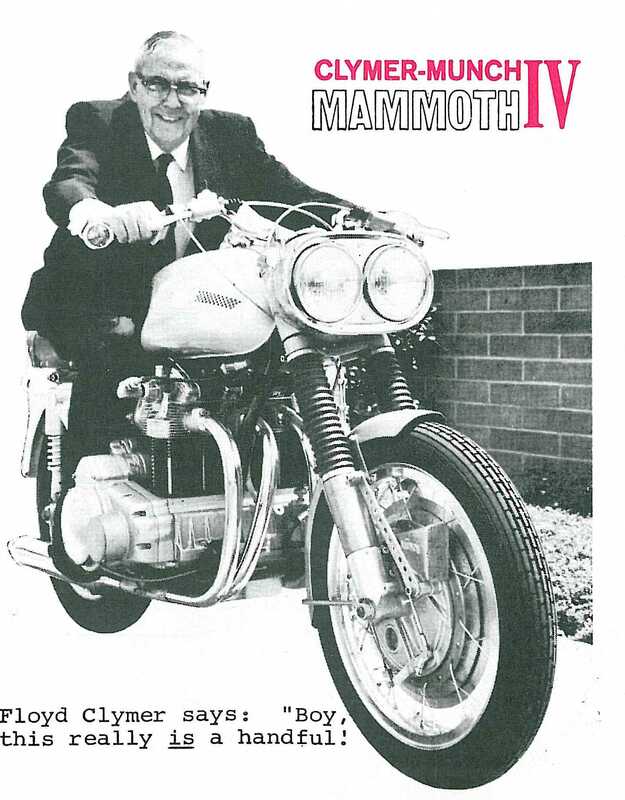 While a successful publisher, Clymer never turned his back on motorcycles. In the 1960s, he became a distributor of the high-end German-built Munch Mammoth IV, a $4,000 bike he labeled the “Ferrari of motorcycles.” Starting in 1963, he attempted to revive Indian (defunct since 1953), slapping the name on imported bikes decked out with engines from Royal Enfield and Velocette. Although the closest one can get to a tangible tall-tale, Clymer was not immune to the world of medical misfortune, and he succumbed to a heart attack in 1970. In his short time on Earth, Clymer had accomplished what few could hope to achieve in five lifetimes, let alone one. Far from forgotten, his is but one of many stories awaiting your discovery here at the Library.